From US 50, Take SR 48 to rt. on Burns Rd, to rt. on Carlee Acres to home on rt. Signs on! Florida Style Patio Home! 3BR, 2.5BA, open floor plan, huge equipped kit. w/built-ins, solid surface countertops, Huge MBR w/ walk-in closet, custom shower & sitting area, full basement, geothermal, front & rear covered porches, 2 car att. garage & (35x25)-3 car det. gar. w/ elec. 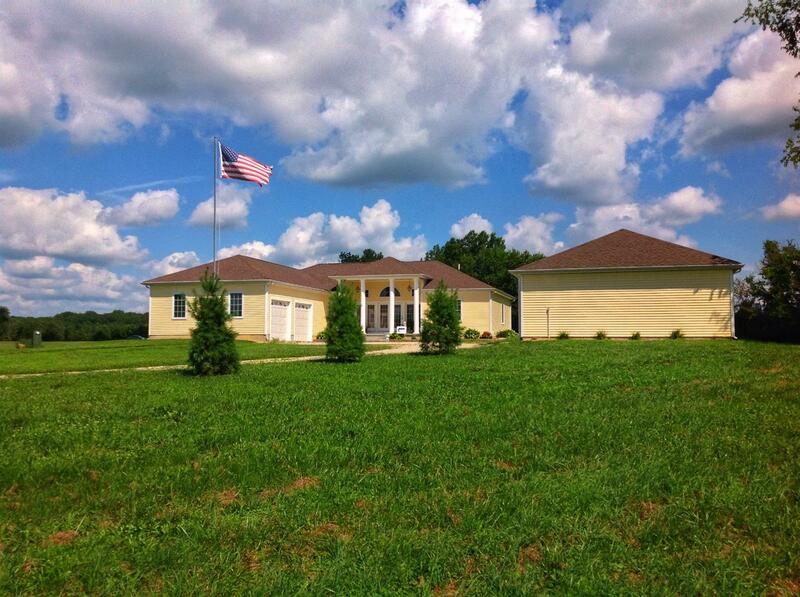 & concr.flrs., 17x33 in-ground heated pool, pond & 5.7 AC!